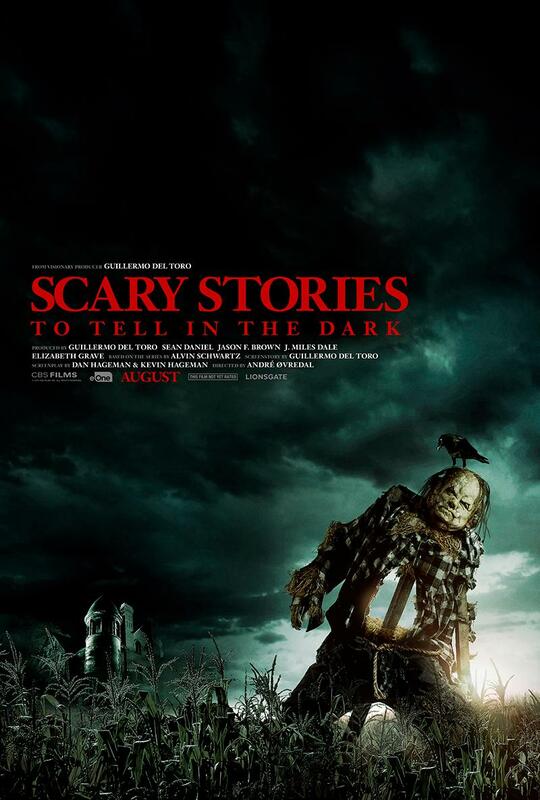 Here is the poster from the upcoming film “SCARY STORIES TO TELL IN THE DARK.” Directed by André Øvredal, starring Zoe Colletti, Michael Garza, Gabriel Rush, Austin Abrams, Dean Norris, Gil Bellows, Lorraine Toussaint, Austin Zajur, Natalie Ganzhorn. 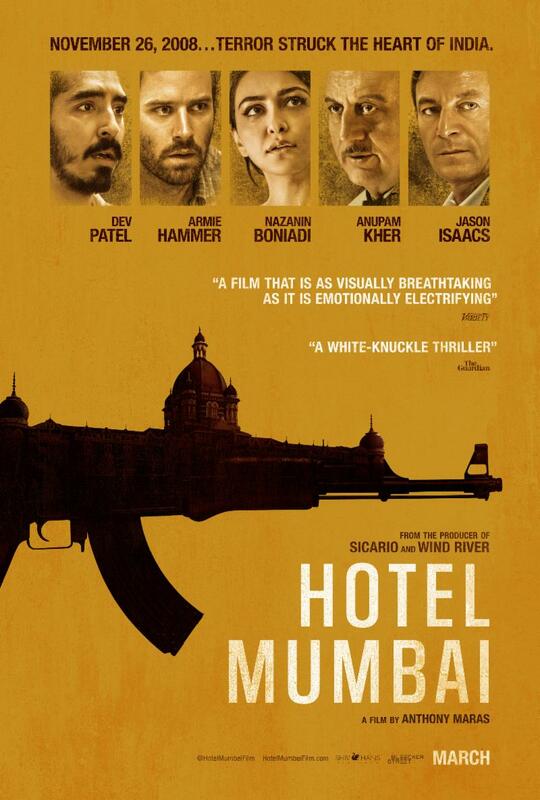 Here is the poster from the upcoming film “HOTEL MUMBAI.” Directed by Anthony Maras, starring Dev Patel, Armie Hammer, Nazanin Boniadi, Tilda Cobham-Hervey, with Anupam Kher, and Jason Isaacs. 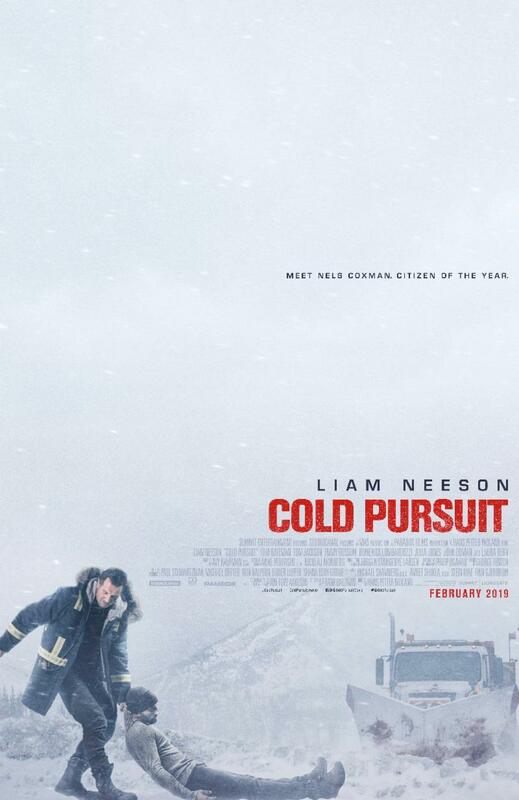 Here is the poster from the upcoming film COLD PURSUIT. The film is directed by Hans Petter Moland, starring Emmy Rossum, Liam Neeson, Tom Bateman. 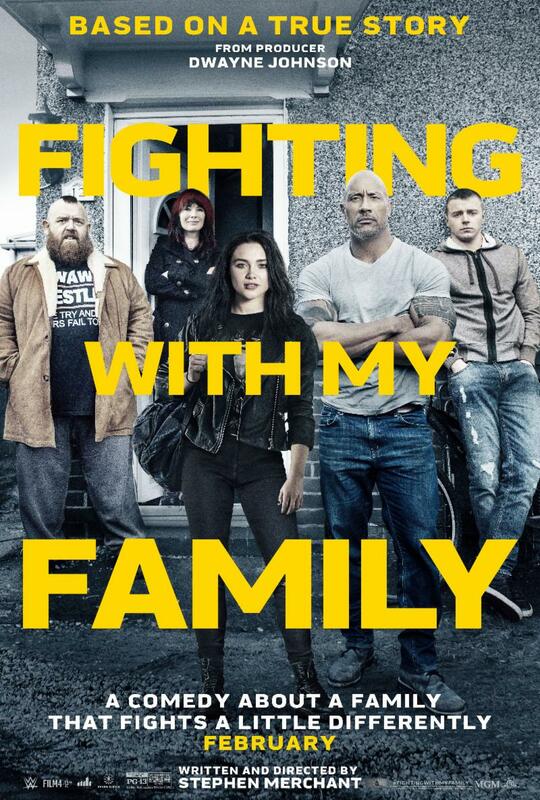 Here is the poster from the upcoming film “FIGHTING WITH MY FAMILY” The film is directed by Stephen Merchant, starring Florence Pugh, Lena Headey, Nick Frost, Jack Lowden, with Vince Vaughn and Dwayne Johnson. 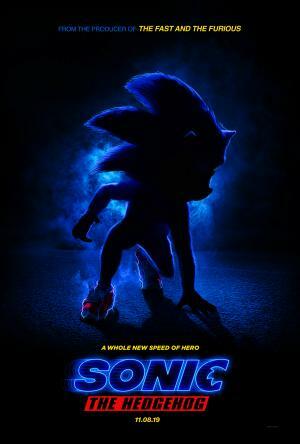 Here is the poster from the upcoming film SONIC THE HEDGEHOG. The film is directed by Jeff Fowler, starring James Marsden, Ben Schwartz, Natasha Rothwell, Tika Sumpter, Neal McDonough, Adam Pally and Jim Carrey. 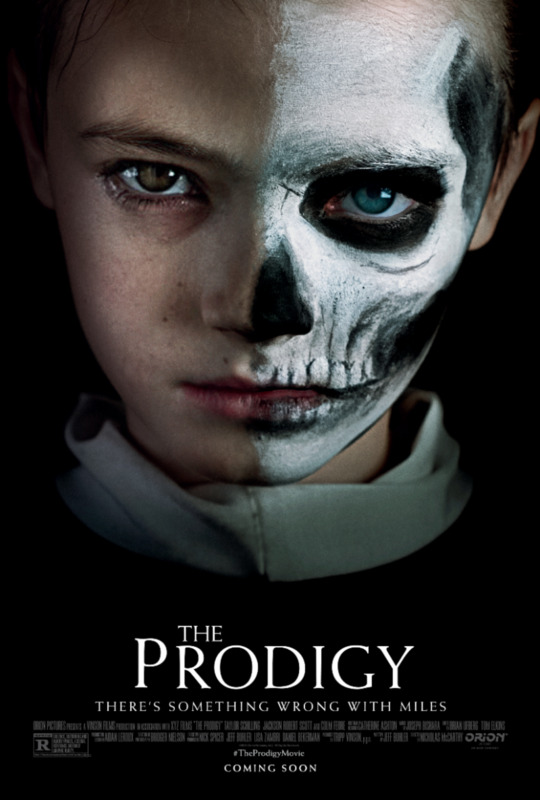 Here is the poster from the upcoming film THE PRODIGY. The film is directed by Nicholas McCarthy (The Pact, At Devil’s Door), starring Taylor Schilling (“Orange Is the New Black”), Jackson Robert Scott (It, AMC’s “Fear the Walking Dead”), Peter Mooney (“Burden of Truth,” “Rookie Blue”), Colm Feore (Thor, Pearl Harbor). 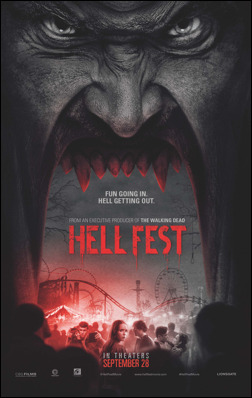 Here is the poster from the upcoming film HELL FEST. The film is directed by Gregory Plotkin, starring Amy Forsyth (RISE, BEAUTIFULY BOY), Reign Edwards (THE BOLD AND THE BEAUTIFUL, SNOWFALL), Bex Taylor-Klaus (VOLTRON, THE KILLING), Christian James (NASHVILLE, EXPOSED), Roby Attal (THE LONG ROAD HOME, RED ELEVEN), Matt Mercurio (BLACK LIGHTNING, THE RESIDENT) and Tony Todd (CANDYMAN, THE MAN FROM EARTH). College student NATALIE (Forsyth) is visiting her childhood best friend BROOKE (Edwards) and her roommate TAYLOR (Taylor-Klaus). If it was any other time of year these three and their boyfriends might be heading to a concert or bar, but it is Halloween which means that like everyone else they will be bound for HELL FEST – a sprawling labyrinth of rides, games, and mazes that travels the country and happens to be in town. Ever year thousands follow Hell Fest to experience fear at the ghoulish carnival of nightmares. Here is the poster from the upcoming film READY PLAYER ONE. 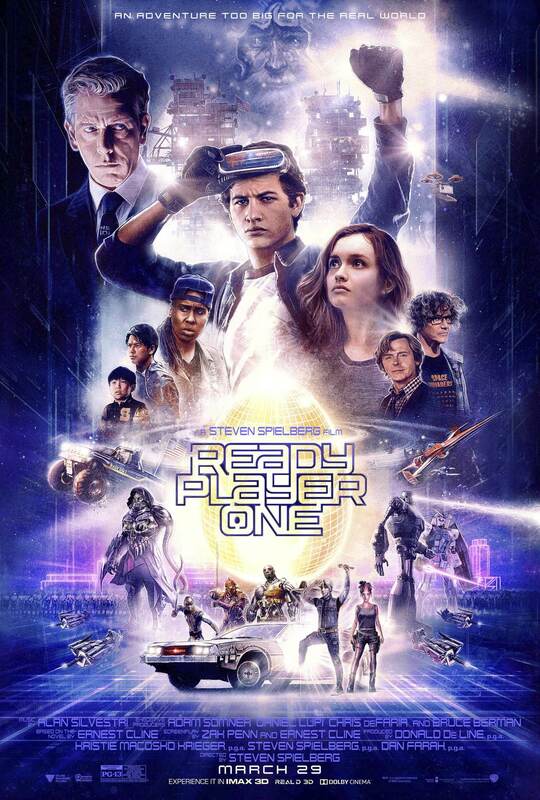 The film is directed by Steven Spielberg, starring “Ready Player One” stars Tye Sheridan (“X-Men: Apocalypse,” “Mud”), Olivia Cooke (“Me and Earl and the Dying Girl,” “Bates Motel”), Ben Mendelsohn (“Rogue One – A Star Wars Story,” “Bloodline”) and T.J. Miller (“Deadpool,” “Silicon Valley”), with Simon Pegg (the “Star Trek” movies, the “Mission: Impossible” movies) and Oscar winner Mark Rylance (“Bridge of Spies,” “Dunkirk”). 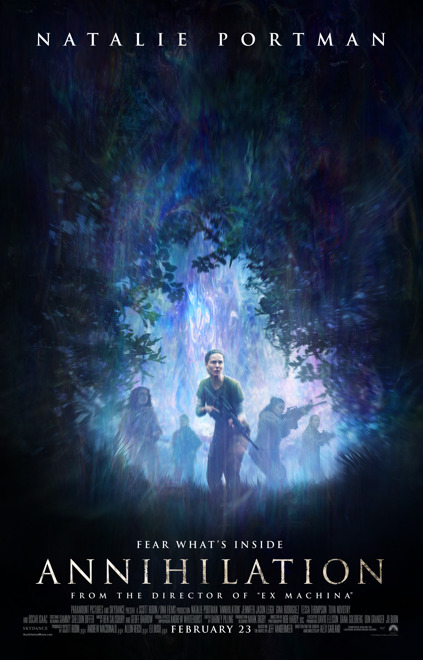 Here is the poster from the upcoming film ANNIHILATION. The film is directed by Alex Garland (Ex Machina, 28 Days Later), starring Natalie Portman, Jennifer Jason Leigh, Gina Rodriguez, Tessa Thompson, Tuva Novotny and Oscar Isaac. Here is the trailer from the upcoming film PATIENT SEVENTEEN. The film is directed by Jeremy Kenyon Lockyer Corbell. 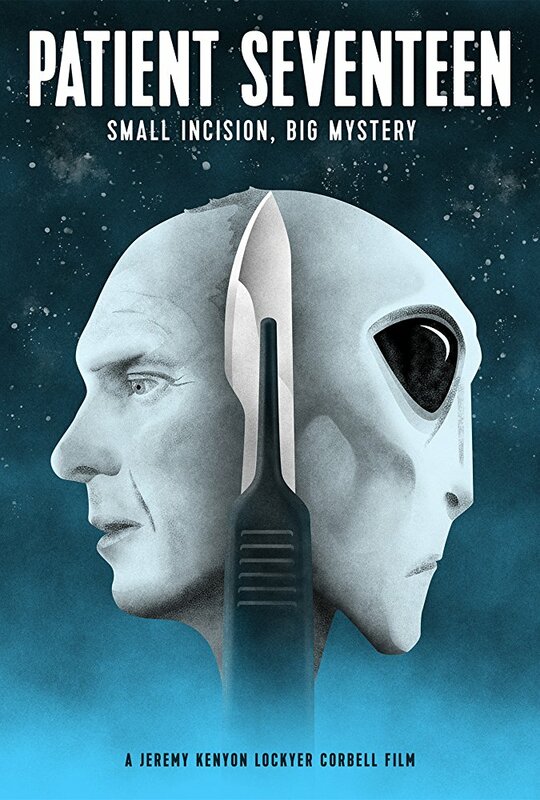 Meet a surgeon who claims to remove highly advanced implants, nanotechnology microchips imbedded by aliens, non-humans monitoring our earth. You are currently browsing the archives for the Movie One Sheets category.